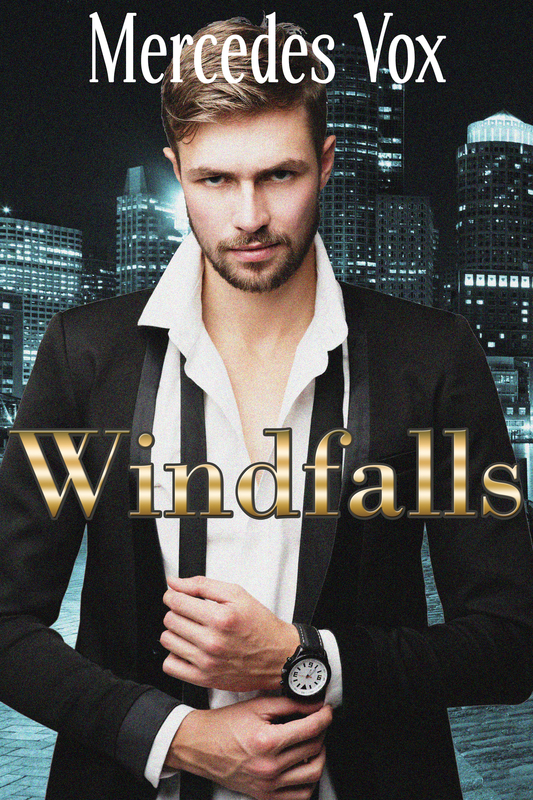 Windfalls is a 64,000-word gay romance novel featuring an underground fighter desperate for money, a lonely billionaire with a few kinks to work out, and the rich guy’s matchmaking ex-wife. Griffin Holt, legacy billionaire CEO of Boston-based defense contractor Liberty Dynamics, wants it bad and no one has ever satisfied his cravings. He doesn’t know why he can only become aroused by that kind of intimacy, and he’s ashamed of the self-perceived character flaw. Riley Turner ekes out a living as a part-time bartender, part-time bare-knuckle boxer. His beloved foster-sister is expecting a baby soon, and Riley’s determined to give her kid the opportunity for a better life that he and Nina never had. On a random Sunday night, a high-class woman of significant means wanders into Mackie’s Pub on the pretext of her car having a flat tire. As a reward for borrowing Riley’s phone to call for roadside assistance, she makes him an astonishing financial offer he can’t refuse. Take one bartender/underground fighter with a need for some quick cash. Add a high-powered executive with a taste for rougher-than-typical bedroom antics. Shake or stir with the secret matchmaking plot concocted by the CEO’s ex-wife. What could possibly go wrong with this covertly crafted cocktail?